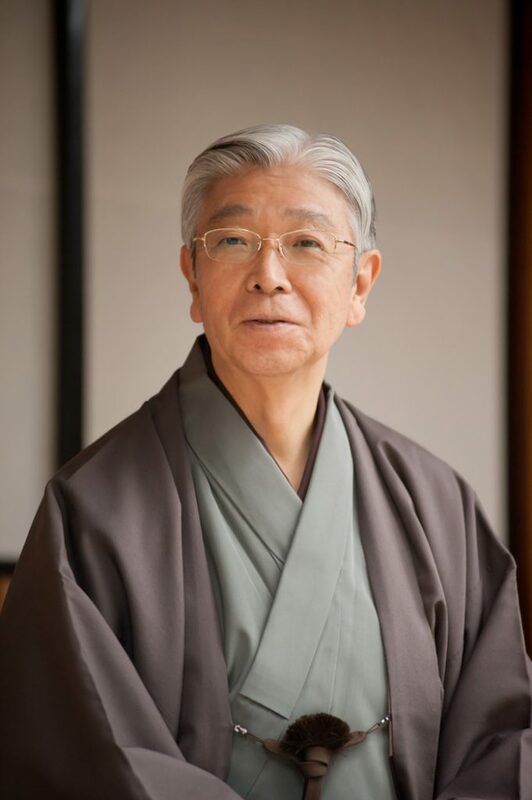 Director of Ueda Ryū Wafūdō, Inc.
Board of Directors, Hiroshima City Cultural Foundation, Inc.
Involved in NHK program ‘Utsukushiki Buke Sadō’ produced to commemorate the 350th anniversary of the death of Ueda Sōko. Televised on NHK BS and NHK General Television. Supervisor, ‘Hideyoshi, Oribe and Ueda Sōko Exhibition’ held at Hiroshima Prefectual Art Museum, Daimaru Osaka Shinsaibashi store and Mitsukoshi Tokyo Nihonbashi store under the joint sponsorship of Nihon Keizai Shinbun and NHK. Exhibition commemorated 350th anniversary of death of Ueda Sōko. Exhibition attracted wide interest with over 120,000 visitors.